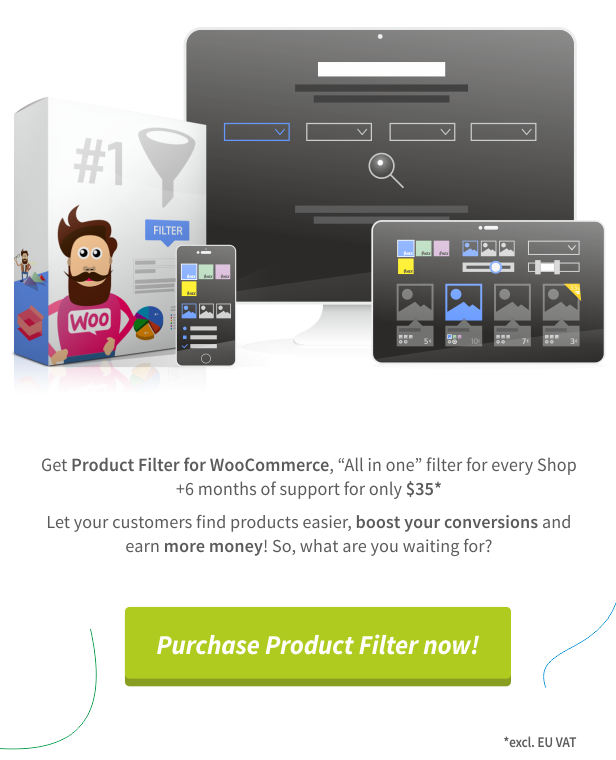 Product Filter for WooCommerce – Ultimate all-in-one filter for your shop! Supports all WordPress templates! Ultimate all-in-one filter for your shop! Supports all Wordpress templates! WooCommerce Shortcodes Integration! Full support for Product Filters! Back and Forward Navigation and AJAX Support! New Ion Range Filter Skins! Stepped Selection Filters, Custom Actions and Adoptive Filtering! Step Filters, Custom Actions and Adoptive Filtering! Support for Theme Templates, Orderby and Result-Count! 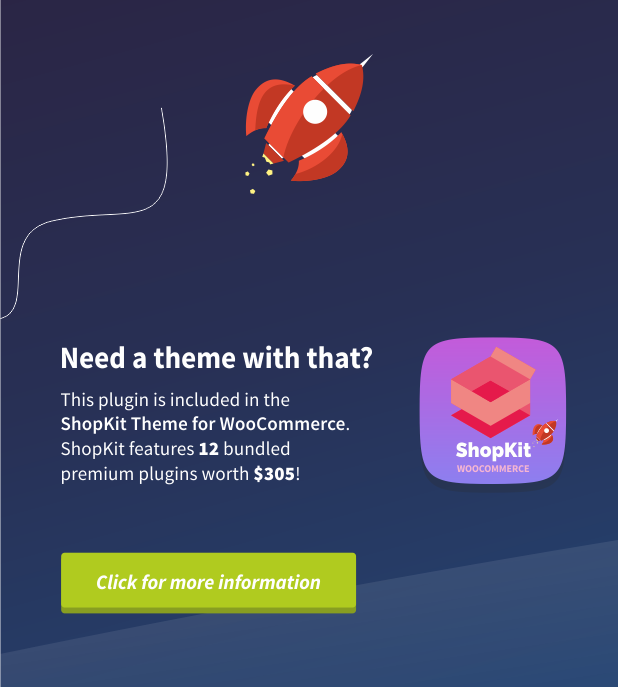 AboutPlugin Preview Click here!- Product Filter 6.4.0 EASY USE- WooCommerce Shortcodes Integration! Full support for Product Filters!- Product Filter 6.0.0 UNBEATABLE- Back and Forward Navigation and AJAX Support!- New Ion Range Filter Skins!- Handheld/Mobile Product Filter Preset- Product Meta Key Filters META KEYS- Variable Products In Stock and Product Images Management- Product Filter 5.9.0 WOW- SMART Hierarchy Support HOT- Selected Terms Collector- Stepped Selection Filters, Custom Actions and Adoptive Filtering!- Product Filter 5.7.0 AMAZING- Step Filters, Custom Actions and Adoptive Filtering!- Filter Descriptions- Product Filter 5.5.0 NEW FEATURES- Multiple Filters per Page!- Load More Pagination!- Support for Theme Templates, Orderby and Result-Count!- Product Filter 5.0.0 AWESOME- Product Search Filter!- Full Category Loop Support! CATEGORY LOOP- Filter Customization!- Product Filter 4.0.0 NEW- AJAX Shop and Product Archives- Filter Terms Search Fields- Filter Sidebars AWESOME- Fullscreen Filters- Multiple AJAX Product Filters- Range Filters! COOL- Range Filters - White- Range Filters - Flat- Range Filters - Modern- Range Filters - HTML5- Default - Shop- Default - Shortcode- Default - Widget- Select Box - Shop- Multi Select, Hierarchy - Shop- Custom Action Filter- AJAX Shortcode Product Filter- AJAX Widget Product Filter- Masonry Filters- Filters In Row- Multiple Row Filters- Arrow Style Absolute FiltersDocumentation and Full Guide Video- Change LogBuy Here! with awesome features for both you and your customers. Enter your purchase code to register the WooCommerce Product Filter and get automatic updates, with a single click, directly from WordPress. Any future update made available by the author is included with every purchase. Upon a new release, get notified directly from your WordPress Dashboard. Update the plugin from the Dashboard Plugins with the automated WordPress functions. Always use the latest version for the best compatibility! Everyone’s Talking About Our Superb Support! Mihajlovicnenad.com will provide outstanding support for its WooCommerce Product Filter plugin. By default, regular license includes 6 months of support, which can be extended to 12 months. 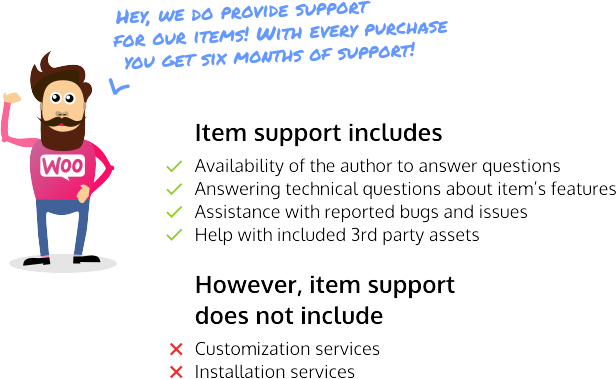 You will have the full availability of the author to answer your questions and provide assistance with reported bugs and issues. Thanks for your interest in WooCommerce Product Filter – we hope you enjoy it! Copyright Â© 2017 Mihajlovicnenad.com All rights reserved.